The California Senate Committee on Health recently approved the California SB 1156 bill, sponsored by Sen. Connie Leyva. SB 1156 prevents third-party organizations, such as the American Kidney Fund, from helping patients on dialysis pay for more expensive, commercial health plan premiums. This is a win for health plans in California, as many claim that third-party organizations push patients away from Medicare and MediCal, which pay at lower rates. Leyva states that SB 1156 will help protect consumers from predatory business practices that make millions off of patients undergoing dialysis or addiction treatment. Baking soda isn’t just for cakes anymore. Researchers at the Medical College of Georgia, Department of Physiology at Augusta University have found that drinking sodium bicarbonate (baking soda) with water quells the body’s immune response. This is particularly helpful for patients with autoimmune diseases like rheumatoid arthritis. Clinical trials have shown a reduction in blood acidity, as well as slowing the progression of kidney disease. Hemodialysis patients may need to steer clear of any opioid use. According to researchers at the University of California, San Francisco, even low doses of opioids pose serious health risks. In a study of 140,899 HD patients, risks for fall, fracture, and altered mental status increased an average of 26% for lower to higher use. HD patients experienced pain and other opioid-related complications. The current study also found codeine was overprescribed. A new treatment has been approved for adults with autosomal dominant polycystic kidney disease (ADPKD). 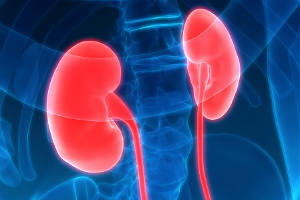 JYNARQUE, developed by Otsuka Pharmaceutical Co., Ltd., was approved by the FDA as the first drug treatment to help slow kidney function decline. ADPKD is diagnosed in approximately 140,000 people in the U.S. each year. It is considered a multi-generational risk as the disease has a 50% chance of being genetically passed on from parent to child. JYNARQUE can cause serious to potentially fatal liver injury and is only available through a restricted distribution program supported by a Risk Evaluation and Mitigation Strategy (REMS) Program approved by the FDA. The University of Cincinnati, Emory University, and the University of Chicago were the recipients of a research grant up to $50,000 awarded by Relypsa Inc. The research will focus on improving the care of patients with kidney and heart disease. A grant focusing on kidney health aims to explore the influence of potassium and urea levels on fibrosis in animal models of renal dysfunction.